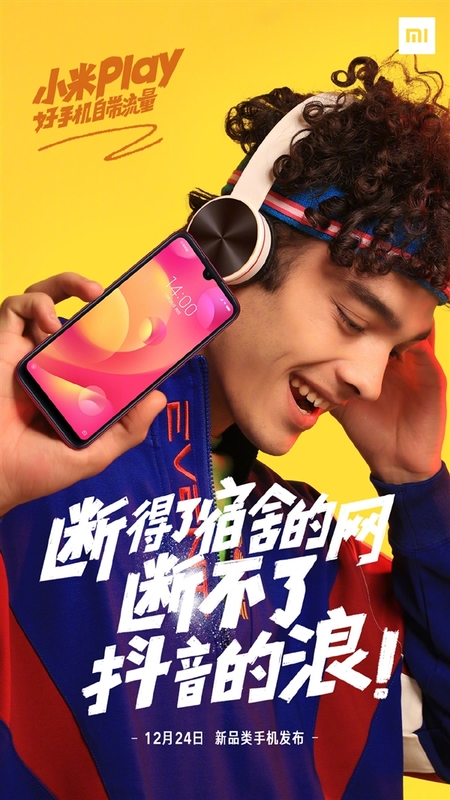 Xiaomi Mi Play appears online for the first time - uses a waterdrop display - Playfuldroid! Xiaomi is the fastest growing brand in China and in less than a decade, it now rubs shoulders with manufacturing heavyweights like Huawei, Samsung, Apple, and other older brands. The company already has sub-brands like Redmi and Pocophone while series includes Mix, Max, and Note. Now, the company is set to unveil a new lineup, Xiaomi Play, which is expected to release smartphones which are optimized for social activities and gaming. 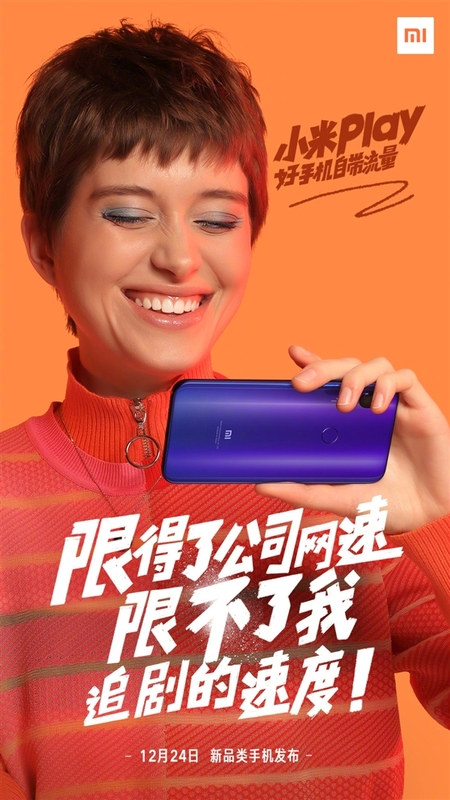 Xiaomi has already announced that the Xiaomi Mi Play will be released on December 24th. Today, this smartphone made its first ever online appearance and surprisingly, it comes with a waterdrop display making it the first ever Xiaomi device to use a waterdrop design. According to the deceased poster, the rear will use a gradient design with glare bright line on the gradient back giving it an outstanding look. The back of this smartphone also hosts a fingerprint sensor and a vertically aligned dual camera setup. Xiaomi Mi Play will come with a WiFi technology that ensures that even in low signal areas, users can have access to uninterrupted internet services. As of now, the details of the specs of this device is not available but it is most likely that this smartphone will use a mid-chip. Qualcomm has a good range of mid-range chips (SD636, 660, 670, 675 and 710) all of which has been used by Xiaomi in the past except the Snapdragon 675 which is not available for sale for now.